1 | I had worn this top (similar) and pants to work one day! I think it’s great for spring/summer if you work in a business casual office. The pants are cropped and I’m all about the bright stripes! 2 | This top is amazing, it’s loose fitting and wearable with just about any look you’re going for. And the bell sleeves 😍!! 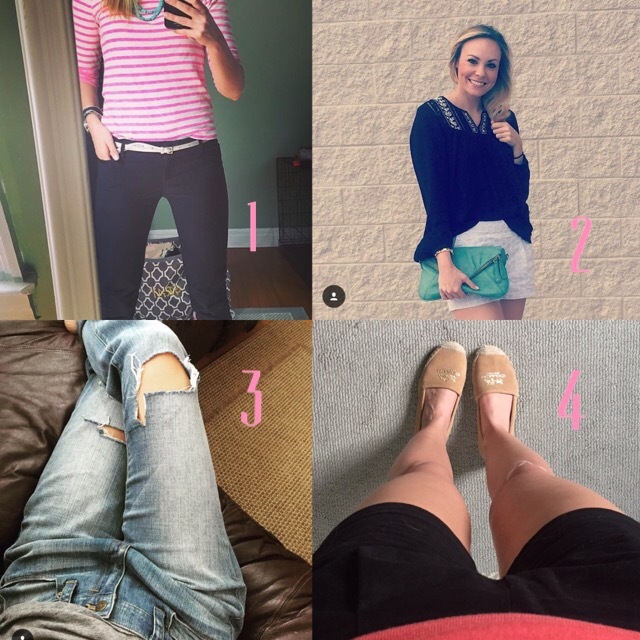 3 | I can’t say enough amazing things about these jeans!!! They are soooo comfortable. I’m loving the deconstructed look and these jeans have just the right amount!! 4 | This look is from a Friday night, sitting on the patio with great friends kinda outfit. These shorts and shoes are perfect for this weather! Thanks for stopping by guys, hope you all enjoyed!